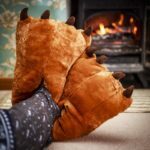 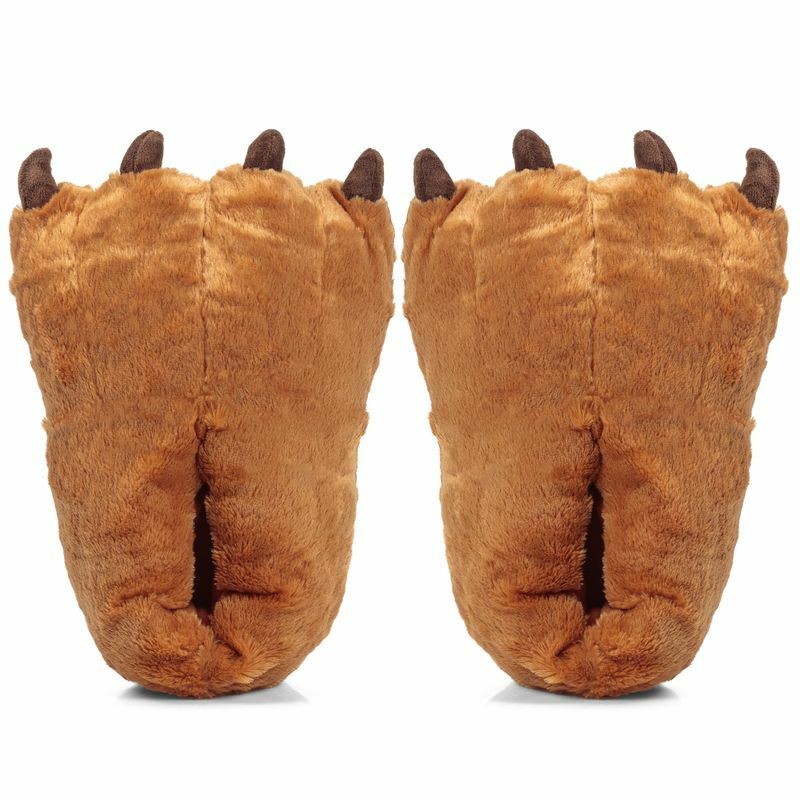 Pair of large plush slippers shaped like bear feet. Each paw is covered in a soft and fluffy brown material, tipped with four soft claws at the end. They are an adult, one-size-fits-all fitting, and very comfortable to wear indoors.